It’s a question that I know my friends are tired of hearing. I pester everyone I know about his or her summer plans nearly every day. I’m pursuing a journalism major with a screenwriting minor, and most of my friends are in similar fields of study. For us, it’s all about summer internships. It’s the main topic of conversation. It’s the main thing we think about. Every new email alert might be an update about the internship we’ve been dying to hear from. You see, for a student studying subjects such as journalism and film, an internship feels like the only option. And for the last few months, the only thing I’ve been thinking about is how desperately I want to find an internship. We need the resume boost. This is a big one, and it probably is the number one logical reason to strive for a good summer internship. If there’s one thing that college students — especially students in fields that don’t necessarily require graduate school, like journalism — hear more than anything else, it’s that we need to work on building an impressive resume. That’s what it’s all about, apparently. (Well, that and networking. Don’t worry; I’ll get to that.) For me, a summer internship with a prestigious company would do so much for my resume, which isn’t bare, of course, but definitely isn’t as packed as I’d like it to be. A journalism or film studies internship would show future employers that I can work in these fields, that I know the ropes and would be a good addition to their organizations. We desperately need the experience. This is about more than some words on a resume though: The subjects that many students are studying are best learned through actual experience. You can study filmmaking for years and still have no idea what you’re doing on a set. You can read every book about journalism ever written, but without interviewing people and writing real stories, you’re never truly going to get it. Because of this, internships are one of the best ways to gain real world experience. When people ask what I want to do within the entertainment business, I’m never quite sure how to answer. After all, I might have studied this business, but I’ve never worked in it. It’s hard to narrow down what I actually want to do when I have no idea what it feels like to do certain jobs. Hell, I don’t even understand what some people in the entertainment business do. A few of my professors have mentioned that I should look into being a talent agent. That’s all well and fine, but what does a talent agent even do?? By immersing myself in an internship within the entertainment business, it will be a lot easier to find out. An internship, it seems, is the simplest way to fix most of my problems. We want and need to meet people. Network. Make connections. We’re told this constantly, but how can we actually do it? An internship in an industry of interest is a great start. In journalism and filmmaking, it’s all about who you know. Not only will an internship score you an in with people already working in your industry of interest, but you’ll probably be working with other interns who are pursuing similar interests to your own. These people can prove valuable contacts through the years. You never know who’s going to score a great job and be able to help you later. Also, it’s just nice to find friends with similar academic and professional interests! I know that my friends who study science or history are tired of hearing me ramble about the latest journalistic scandals and what kind of movies film executives are buying. Finding peers who care about the same things you care about can make everyone’s lives a little better. Because we are constantly told that this is the way to enter the business. Regardless of what you’re studying — film, journalism, publishing/editing, even history — if you’re like me, you probably feel as if you don’t have much of a choice but to find an internship. It genuinely feels like the only way to get a leg up in any of these who-you-know businesses. It’s about networking, about making and keeping friends, about finding people who are willing to do you a favor, to write you a solid recommendation or simply to drop a line to a boss when you’re applying for a job. We want to test the waters. I’ll probably move to LA after I graduate college. Or New York City. If I want to work in entertainment or even major journalism, I won’t have much of a choice. But I’m not trying to permanently move to a city I’ve never even visited. Do you know how many singers I listen to have written songs about how terrible LA is? A lot of them. Ok, at least two that I can think of, and one of them is Death Cab For Cutie’s Ben Gibbard. I trust that adorable little man! What if LA is truly horrible? What if I hate it? And furthermore, what if I hate the entertainment business as a whole? Maybe I find it vapid and infuriating and pointless, and I decide to go a completely different direction with my life. It’s possible, but I would love to know this kind of stuff before I graduate college. The best way to do this — you know the drill — is by finding an internship that gives me a taste of things before I have to dive in headfirst. Because we want to have a worthwhile summer. This search for an internship isn’t based solely on professional ambitions and resume building. For me, a big part of wanting to find a good summer internship is just wanting to have a good time. It’s nice to feel productive, to feel like you’re learning something. And it’s even nicer to feel this way while doing something that you’re interested in and, hopefully, something that you love. I love stretching myself and exploring new things. 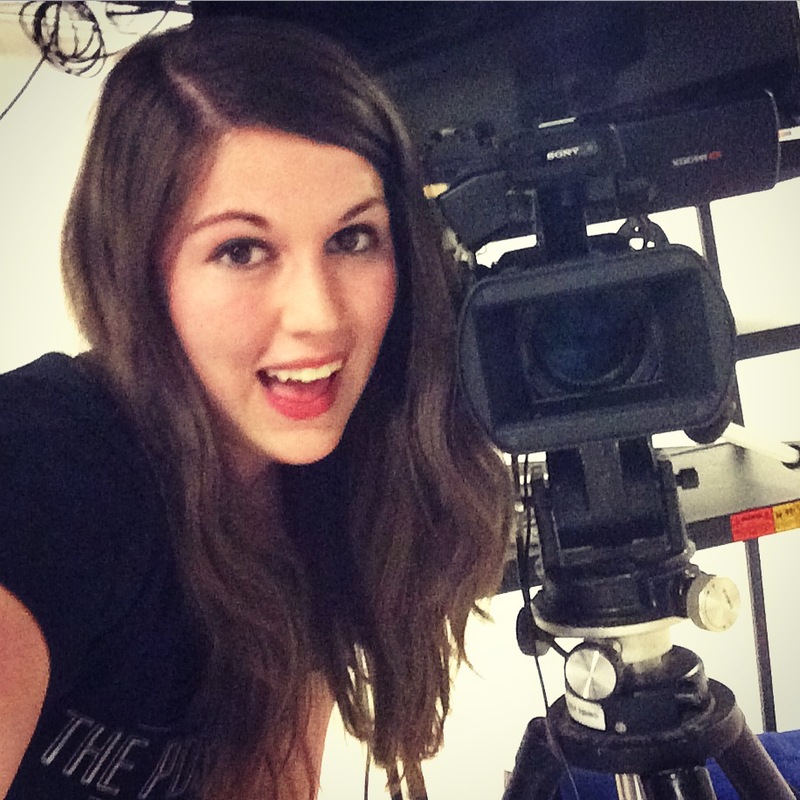 I love film and journalism, so to spend my summer doing something within these subjects would be a dream come true. Because we’re thirsty for change and adventure. Last summer, I spent the best six weeks in my life studying abroad in Dublin, Ireland. While the places I saw, the people I met, and the classes I took were all amazing, I think the best part of the trip was really just that it was something different. It was so nice to have a change from the routine, and that’s what I’m looking for this summer too. I love Chapel Hill, and there’s nowhere in this world that I’d rather go to college at than UNC, but I still want some kind of new adventure this summer. I want to branch out and step out of my comfort zone. An internship, especially one with a prestigious company in a big city I’ve never lived in, would certainly help with that. When you get right down to it, a summer internship just feels like the only reasonable option. I have a few friends who are majoring in biology. Their summers consist of taking extra classes at school, volunteering at hospitals and nursing homes and signing up for EMT classes. But for students in the humanities, it’s harder to spend a summer this way. Sure, we could take summer classes, but often, there just aren’t that many relevant classes offered. We could get a job and save up some money, but odds are that isn’t going to help us in the long run. No, what we need is real experience, real work in what we’re interested in. Being a college student (and a young adult in general — and hell, even just a person at all) is filled with highs and lows, swelling ups and crashing lows, and I’m convinced that this desperate search for a summer internship comes with the territory. It’s a kind of right of passage. Before we graduate and get dropped into the real world, the search for internships gives us a little taste of what’s to come: the highs — when we finally get a great internship — and the lows — when we never hear back from the big companies and we struggle to write the most compelling cover letters we can. It’s all part of the ride, I guess, for better or for worse. So I ask that you keep your fingers crossed for me, because great internships in film or journalism don’t come easily, and I’ll keep my fingers crossed for you too, because in the end, no great internships come easily. Author’s note: Since writing this article, I have been offered an internship with the American Film Institute’s Directing Workshop for Women this summer in Los Angeles. I accepted the offer. Phew. Freelance copywriter and contributor to Telapost. If you have any questions or would like to reach out to me, I can be found via email at schylermartin@gmail.com or at the links to the left.